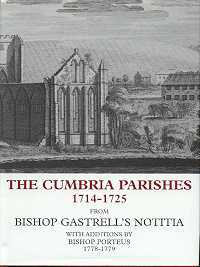 This volume contains the material collected by the Bishop of Chester about the Cumbrian parishes within his diocese. His notitia (notebook) is a mine of information about parishes, townships, schools and charities. A full list of clergy is included.